Which country has the world’s worst postal service? Which countries should you avoid shipping to? Let’s say you put a few items up for auction on eBay and one lucky winner has an address in Haiti. 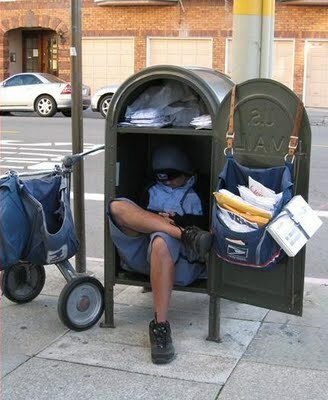 Would you post it using regular mail? If you’d just read the Universal Postal Union’s annual report on the global ranking of postal services around the world, probably not. Each year, the UPU assesses the postal services from 173 countries to come up with an indexed score and ranking to show how individual countries have performed. These four metrics combine to create a score which then determines its country ranking, such that each country can be compared with its peers. Enough of the preamble. Who’s at the bottom of the table? A few predictable names in there but ironic to see St. Vincent so low in the table, given the fact that it is the third most prolific stamp issuer on the planet (over 5500 new issues since 1950!). How about the top ten? In order of postal excellence, the best performers are: Switzerland, Netherlands, Japan, Germany, France, Poland, Singapore, USA, UK and Austria. How does Latin America do? Conspicuous by their absence are Bolivia (whose postal service has been in turmoil in the past few years, culminating in a new institution being formed in March this year) and Guatemala (also suffering from protracted disruption and suspension of services). For those that want to dig a bit deeper or view the entire list, you can read the full report here. Pre-internet, collectors tended to be far more reliant – dependent even – on the catalogue that was written in their own language. Buying and selling was limited to the relationships with dealers you knew, and the auctions you attended were those nearer to home. I’m generalising but you get the picture. Move on to the present and you can be buying or selling, from and to, anyone who is anywhere. The click of a mouse secures you a win on a bid from an auction on the other side of the globe. If so, the odds are that they’ll not necessarily be using the same catalogue that you depend upon. The four main catalogue publishers – Scott, Michel, Stanley Gibbons and Yvert & Tellier – all have have their own reference systems, none of which directly relates to the other. Throw in a regional specialized catalogue to the mix and the collector that wants to take advantage of the global market has a lot of cross-referencing on their hands. Which is what makes this new handbook rather useful. The author, Ulrich Schierz, has managed to convince four catalogue publishers to authorise the use of their numbering systems, so as to provide a cross-reference between either one. Scott, Michel and Y&T numbers are printed alongside their corresponding RHM (the specialised Brazilian catalogue) counterpart to provide a quick and easy cross check. There are no prices here, no values, no colours…just numbers. But that’s all you need. The presumption is that you’ll already have your own catalogue and will be taking whatever other information you want from there. The book covers issues from the ‘Bull’s Eyes’ up until 2015. There is also a section that cross-references the watermark types that each catalogue uses. Officials are covered and there are a few pages devoted to the notoriously complex ‘Série Vovó’, issued between 1919 and 1941. Keijo Kortelainen has a very good overview of the catalogue differences of this series on his website www.stampcollectingblog.com. The only omission is any reference to Stanley Gibbons. Whether they were never invited to the party or declined the invitation is unclear. But overall, I would suggest that this is a ‘must’ for the acquisitive Brazil collector. Certainly makes those eBay and Delcampe searches much easier. The book is produced by ArGe Brasilien in German and can be obtained for €11.92 plus shipping directly from the publisher. 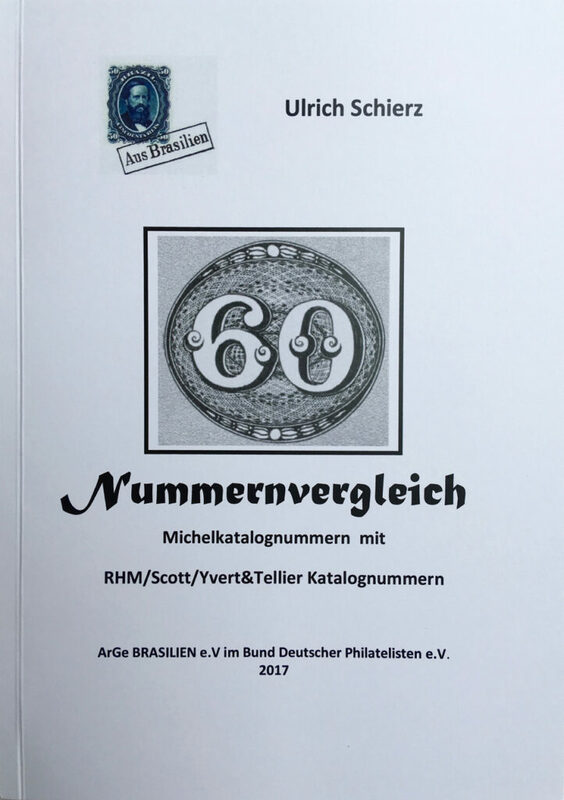 ArGe Brasilien is a German/Brazilian philatelic society but with 30% of its members outside Germany and over 100 papers published. “While stamp prices of Europe and North American countries have shown significant weakness over the last five years, South American countries are showing continued appreciation with little or no price erosion during that time”. So says Richard Lehmann in this month’s ‘American Stamp Dealer and Collector’ magazine. Lehmann is the founder of StampFinder (www.stampfinder.com) and a columnist for Forbes. His articles tend to explore the more investment-orientated aspects of stamp ownership and take an analytical approach to catalogue pricing data. For this exercise, Lehmann isolated only those stamps identified in Scott that were issued up to 1950 and had a catalogue value of $25 or more. These are then split out between mint and used before being compared to catalogue prices from five years previously, in this case comparing 2015 against 2010. This then illustrates the appropriate appreciation (or depreciation), like for like comparisons between countries can be undertaken and explanation or speculation is then provided on why specific countries are either up or down. Whether investing or collecting (not a debate I’m going to get into here) , we should rejoice in that hard cash shelled out on South American stamps has more than held its own over the past five years. As to why is another matter. Looking at mint examples, Argentina shows the highest appreciation at 57%, followed by Uruguay at 30% and Colombia at 27%. The only two countries to show depreciation are Ecuador (-0.6%) and Peru (-1.5%), whereas the overall increase for the region was 22% based on an analysis universe of 2109 stamps. Used stamps fared even better with a five-year appreciation of nearly 30%. Lehmann provides his view on why certain countries may or may not be doing so well, concluding with his view that Venezuela, Argentina, Brazil and Columbia offer the best opportunities for above average growth. These sorts of analyses are only ever as good as the underlying data and can be picked apart by the cynical. For example, Scott may undertake a thorough price review of some countries over the period but may only skim over others. That said, it is a useful insight into how prices change over time. 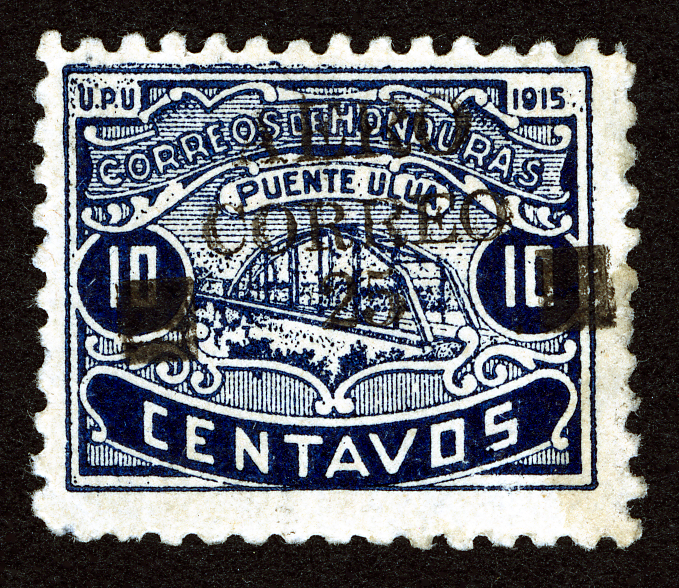 And the second most expensive Latin American country to collect is…Honduras. And the least expensive? Guatemala. Debate! Back in 2000, a Canadian Gentleman by the name of Michel Bégin compiled a database entitled “The Most Affordable Classic Stamps to Collect” and published his findings on the web. Clearly a man with time on his hands, he manually ploughed through the entire Scott 1840 – 1940 Specialized Catalogue and sorted each country’s listings into price bands to determine the overall cost of collecting a specific country. Fast forward to 2017 and the website www.germanstamps.net has attempted a similar exercise. This time, Michel 2015/16 has been used as the default catalogue. Data has been accessed electronically rather than manually and the listings now encompass the full 1840-2015 period. There are two variants of the tables, one for summary country listings and another for detailed (e.g. including states, locals, officials, postage dues, revenues etc). 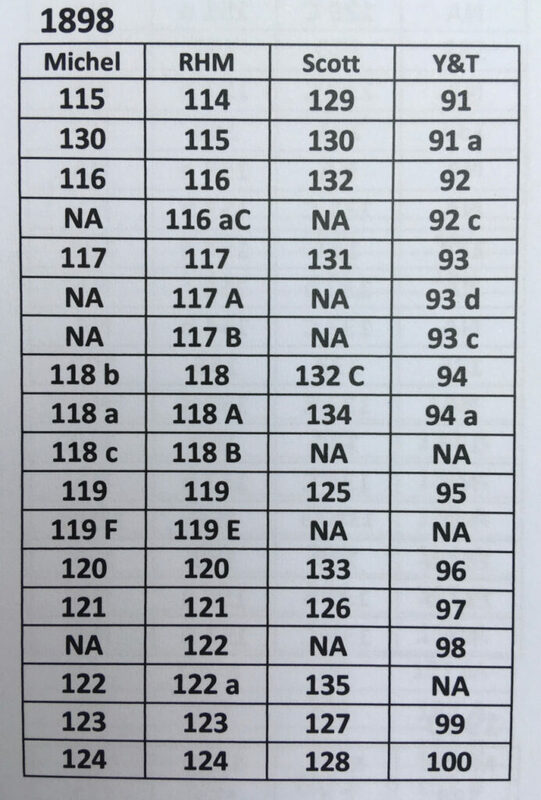 These two tables can then be viewed as either mint or used and as actuals or percentages. An exercise of this nature is only ever as good as the data upon which it is based and inevitably there will be anomalies that skew or affect the final result. Nevertheless, it is an excellent tool for getting a broad idea of the overall catalogue ‘value’ of a country, understanding the relationship between the number of expensive to low value stamps and how the cost of completing one country relates to another. 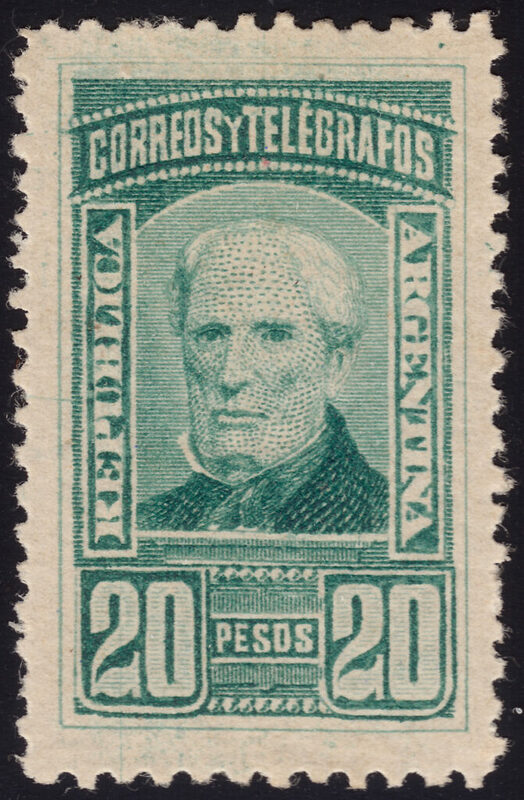 How affordable are stamps from Central and South America? I thought it would be an interesting exercise to just pull out the Latin American constituents to see how they compared against one another. For example, at the summary level for mint stamps, these are the results. However, Honduras has to be treated as an anomaly due to the hugely disproportionate €150,000 valuation Michel puts on the renowned 1925 ‘Black Honduras’ airmail, of which only one exists. If we eliminate this one stamp then Honduras drops down to 13th place. El Salvador and Haiti only have two stamps each that catalogue more than €100 with Guatemala having only seven. In comparison, Mexico has 289, Brazil 117 and Colombia 98. The data can be cut any which way you want and you can have a lot of fun with the tool, dependent on your collecting interests. How accurate a reflection of Latin American philately the stats provide is up for debate though. Ultimately, it is only as good as the source data, some of which you may decide to question. In many respects it can only be used as a guide for relative rather than actual value. Certainly, it would be fascinating to see a similar version using Scott (or the rapidly ageing SG) data to see how they compare.